The Top 8 Best Types of Countertops for Any Kitchen | Gold Eagle Co. 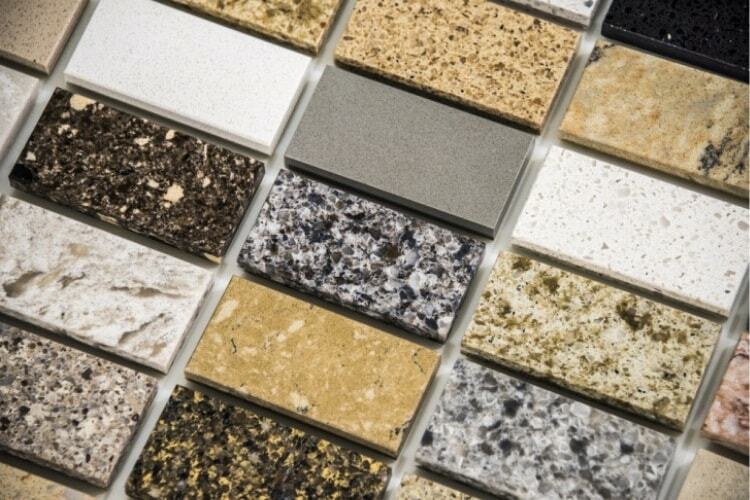 Whether you’re in search of a new home or want to remodel your kitchen, countertops might be on your mind. After all, kitchen countertops can make or break the whole room. Fortunately, there are several types of countertops to choose from, so you can find a material that best suits your style. Here’s a sampling of the best countertops for your kitchen, taking into account everything from appearance and availability to durability and maintenance. The best countertops are often made of granite. That’s because you can find granite in just about every color, so you can rest assured you’ll love the look of the granite countertops you get. Plus, this material is strong and can withstand heat very well, so if you need to put a hot pan on it for a few minutes, you can do so without damaging the surface. As long as you seal the granite before you start using it, it should be easy to keep it clean—especially when you use a granite cleaner and a granite polish on a regular basis. 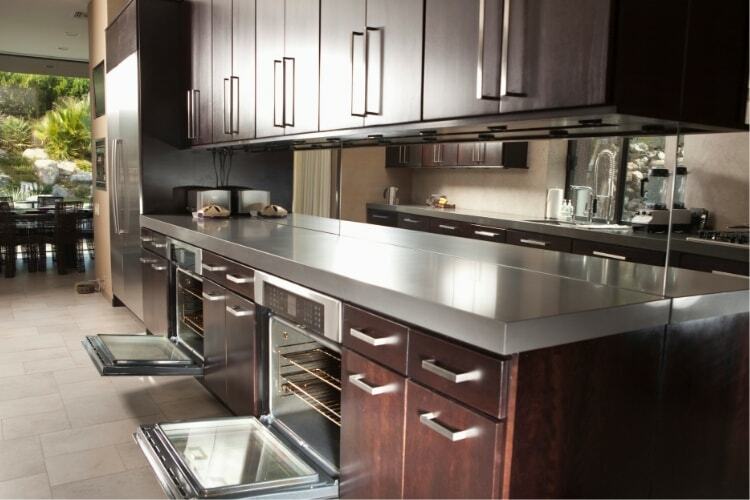 So if you’re looking for the best countertops for your kitchen, buying granite is a great option! Another option to consider when looking at different types of countertops is quartz. This material is easy to customize since you can get it made in various sizes, shapes, and colors. It’s naturally resistant to stains and heat, and you don’t have to seal it to keep it looking its best for years. So if you’re looking for the types of countertops that are as low maintenance as possible, quartz is a good choice. If you want a charming, rustic look for your kitchen, think about butcher block for the countertops. This option is easy to clean, and if the wood is ever damaged, you can simply sand it down to repair it so it looks new again. Just keep in mind you will have to seal it if you want to reduce damage from water, stains, and scratches over time. But as long as you add a layer of protection from a high-quality butcher block conditioning oil, these types of countertops should last for years. Concrete makes for the best countertops when you’re in search of a surface that’s super durable and easy to care for. After all, concrete is resistant to heat and scratches, and you can make this material nonporous by simply sealing it. If the idea of gray concrete in your kitchen doesn’t sound appealing, keep in mind that you can get concrete countertops tinted in a variety of colors, and you can even get different textures to make these types of countertops uniquely beautiful. Some of the best countertops are made of stone, and soapstone is no exception. This natural material tends to be dark gray and smooth to the touch. It can withstand heat and is resistant to stains. Though it can scratch over the years, you can typically sand out those scratches, and then add mineral oil to the surface to prevent further damage. Another option for the best countertops is solid surface material, which is an affordable alternative to natural stone. You can get solid surface countertops in a range of patterns and colors. While it’s not heat resistant, it is stain resistant, so it’s easy to keep clean. And if it gets scratched or nicked over time, the repairs are typically easy since the surface can be sanded down. Some of the best countertops are among the most affordable, like laminate. This material is popular because it’s inexpensive. You can even install it yourself, saving more money. It’s also easy to maintain and keep clean, and you can get it in almost any color or design. So if you want a simple, low maintenance countertop option, this material may be right for you. Among the best countertops are marble countertops, and with one look, you can see why. This material is beautiful and unique, as no two slabs are exactly the same. Also, marble is resistant to heat and water. And once you seal this material using a product like TriNova Granite Sealer—which works on several types of stone—you can protect your marble from wear and tear over the years. If you’re looking for the types of countertops that are both visually appealing and easy to maintain, you can’t go wrong with any of these options. Choose the one that best fits your budget and personal taste so you can start enjoying your beautiful kitchen as soon as possible!